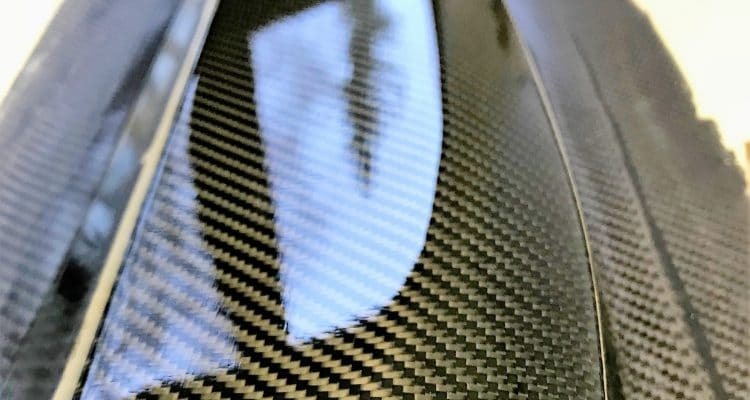 We develop and manufacture composite components for various areas of vehicle technology on behalf of customers and in cooperation with European development partners. Our own products round off our commitment in this industry. As part of a European funding project, we are developing the frame components of an innovative, flexible bogie for railway wagons, with the main development objective being permanent noise reduction in operation. We have already successfully applied the experience we have gained so far in the course of the project to other applications on several occasions. The largest structure we have produced so far also comes from the vehicle sector. This is a self-supporting, two-axle car trailer made of GRP for advertising purposes. The vehicle was designed by us according to a concept and manufactured in small quantities. With the empty weight of the cell at just under 1.5 t, the payload was 1 t.
A new development from our company shows a significantly better ratio of empty weight to payload. The “Overhead Battery Compartment” for E-buses is designed for a payload of 500 kg with an empty weight of 95 kg. Two of these units can be mounted back-to-back on the roof of the bus above the front axle. The supporting basic component is manufactured in a mixture of compact laminate and sandwich construction in one production run by vacuum infusion. 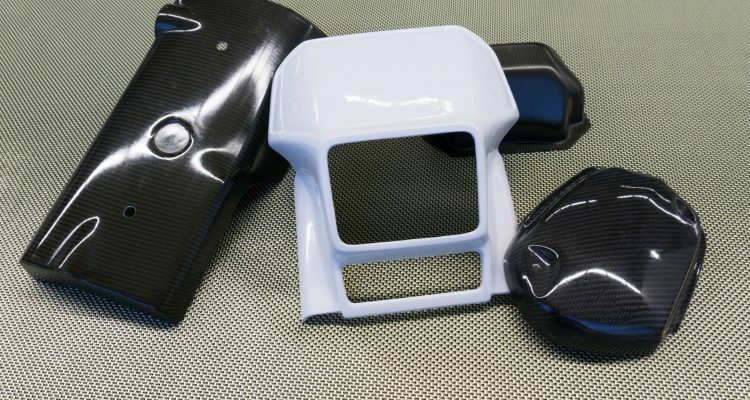 In addition, we manufacture individual pieces and small series of various motorcycle fairing parts up to fuel tanks in our own moulds in hand laminate. A special matrix material is used for these, which is characterised by extremely high and wide chemical resistance in order to guarantee the resistance of the tanks to all commercially available types of fuel.